Ketosis vs. Ketoacidosis: Benefits and Side Effects - Vaxxen Labs, Inc.
You’re likely aware that the keto diet is a very-low-carbohydrate nutritional regimen, but there is quite a bit more to it than that. For example, you may keep hearing the term “ketosis” when people talk about their newfound love for the keto diet. This begs the question: What the heck is ketosis? What about ketoacidosis? Are there benefits of ketosis? If so, how do you get into ketosis? Does Your Body Really Need Carbs? Ketosis is a metabolic condition that occurs naturally when your body is deprived of sugar (carbohydrates) and during times of extensive fasting or starvation. On the keto diet, the goal is to force your body into “dietary ketosis” by significantly reducing carbohydrate intake (especially starchy carbs and simple sugars). This might seem unhealthy at first glance, as we are more or less raised to believe that carbohydrates/sugars are a necessary macronutrient for wellness and longevity. In reality, your body does not actually need sugar/carbs in the diet, as it can make glucose and energy from other substrates (such as amino acids and glycerol). Thus, by limiting carb intake, your body starts to rely heavily on fats for energy. As you become “fat-adapted” and fat metabolism increases, the liver starts to produce distinct molecules known as ketone bodies (often referred to as simply “ketones”). It’s important to make the distinction between dietary ketosis and ketoacidosis. The ketosis you experience on the keto diet is a healthy state to be in and beneficial in many ways. Ketosis ultimately just means you have a higher amount of ketones in your blood than usual; the amount of ketones your body produces while on the keto diet is not significant enough to cause acidosis (i.e. blood pH less than 7.35). Ketoacidosis, on the other hand, is not the same as dietary ketosis. Ketoacidosis is a potentially lethal metabolic abnormality caused by having an excessive amount of ketones in the blood (which significantly lowers blood pH and makes the body highly acidic). The pH of your blood is normally right around 7.4, and it’s strictly regulated to keep it close to that number since many biochemical processes rely on fairly neutral (or basic) conditions. Thus, when the blood is acidic many routine cellular reactions are disrupted (which can lead to a myriad of health ramifications or even death). Ketoacidosis is most likely to occur in individuals with type-1 diabetes, generally if they don’t have sufficient insulin present in their body. This is a condition known as diabetic ketoacidosis and usually requires immediate medical attention. If you are in fact a type-1 or type-2 diabetic, you should not make any drastic dietary changes or start the keto diet without first consulting with a licensed physician. Coincidentally, these are some of the initial symptoms people experience when they switch to the keto diet – a phenomenon known as the “keto flu.” However, the symptoms of ketoacidosis are much more acute and debilitating than what you would ever experience from dietary ketosis. Again, dietary ketosis is safe and simply denotes that you have an above-average amount of ketones in the body, which imparts a variety of benefits. Chemically, the term ‘ketone’ refers to a broad class of organic compounds with a central carbon atom bonded to oxygen and two carbon-containing groups. The ketones your body produces from fatty acid metabolism are more properly referred to as “ketone bodies” since many other ketones exist in nature. Despite BHB not being a ketone (in the technical sense), it functions like one in your body – just like acetone and acetoacetate. In fact, BHB is arguably the most beneficial ketone body in humans, especially for performance enhancement. This is why Keto1 includes trademarked goBHB exogenous ketones – the purest form of BHB salts on the market. What are exogenous ketones, you ask? Exogenous ketones are simply ketone bodies that originate from a source outside of the human body. Contrast that with endogenous ketones which are made within the body. However, the exogenous ketones in Keto1 are bioidentical and work exactly the same in your body as the ketones you naturally produce. Most people assume that sugar and carbohydrates are the ideal form of energy for their body, which is not really the case. In fact, many physicians and nutritional scientists would argue that fat is the superior form of energy for your body. One could even make the argument that the advent of processed, sugar-laden foods is one of the main reasons obesity is so prevalent these day (and research agrees with this). Physiologically speaking, that seems to make the most sense. Carbohydrates, especially simple sugars, have the strongest effect on insulin secretion. Eating too many carbs and simple sugars over time can cause the body to become resistant to the effects of insulin, thereby leading to chronically elevated blood glucose and insulin levels. Eventually, this can manifest into full-on type-2 diabetes, which is well-known to contribute to obesity (and vice versa) as well as many other health complications. It’s really no surprise then that research shows the keto diet can help reverse type-2 diabetes and enhance insulin sensitivity. In many ways, the keto diet is the inverse of what most people eat like (e.g. more fat and protein instead of sugary foods). By cutting out carbs, your body will not have its “usual” source of glucose for producing energy (ATP). Obviously, your body needs energy for you to function, and it’s smart enough to make things work even without sugar in the diet. Once carbs have been essentially removed from the diet, your body switches gears and starts to break down fats (from adipose tissue and food) so that they can be oxidized for energy. As part of this process, ketones are made (hence the term “ketogenic” diet). After about 1-2 weeks of following the keto diet, your ketone levels will rise sufficiently enough for you to be in a moderate ketosis (which is about 1.0-1.5 mmol/L of blood ketones). You don’t need to be too worried about actually measuring your ketone values, but if curiosity gets the best of you, then you’re best option is to invest in a blood ketone analyzer. You can find them at many pharmacies and online health stores these days. They work just like a blood glucose meter, a simple finger prick is all that’s needed and it will tell you how many ketones are in your blood. Earlier we alluded to the health benefits of ketosis. The subsections below will dive into what the current scientific and clinical findings demonstrate about ketosis and its impact on human health and longevity. Ketosis increases fat metabolism (breakdown: When your body is in dietary ketosis, you’re essentially “fat-adapted,” meaning your body is trained to breakdown fats as its primary source of fuel. The fats your body breaks down in ketosis come from both stored adipose tissue (body fat) and dietary fats, which in turn can help support weight loss (assuming calorie intake less than energy expenditure). Ketosis encourages healthy appetite regulation. A recent meta-analysis suggests that ketosis helps suppress appetite. It is not quite clear what causes this, but the current theory is that ketones increase a satiety signal called cholecystokinin and reduce ghrelin – a hunger signal secreted in the gut. Hence, ketosis makes it easier for many people control their calorie intake without feeling like they are “depriving” themselves. Contrarily, eating a higher-carb diet may lead to erratic blood sugar swings which can impact food cravings (especially the desire to eat sugar). Furthermore, neurons in the brain start to lose their integrity and function as we grow older. If these neurons degenerate significantly, then conditions such as dementia and Alzheimer’s disease can occur. The keto diet has become an intervention of increasing interest in the field of neuroscience, mainly because evidence suggests that ketosis may delay the onset of neurodegenerative processes and reduce inflammation throughout the brain. In layman’s terms: Ketones and fats are great for your brain. Many athletes and gym goers fear that ketosis will hinder their performance and training since conventional wisdom suggests you need to “carb up” before exercising. This is why many endurance athletes will often eat a big pasta dinner the night before a competition. Now that more research is coming out on the performance-enhancing aspects of ketosis, it’s very likely we will see a sort of paradigm shift in the way athletes and fitness enthusiasts eat (especially how they fuel their body before a big game or workout). Ketosis turns your body into a fat-burning machine (rather than a sugar-burning machine), and fat is a great source of lasting energy, especially for endurance athletes. >Moreover, ketones have unique performance-enhancing benefits as well, particularly by inhibiting muscle protein breakdown (which is favorable for retaining lean body mass). Several studies demonstrate that ketosis supports healthy insulin levels and metabolism. Moreover, being in ketosis help maintain stable energy levels and a balance in blood glucose values throughout the day. Typical Western diets contain a large number of refined carbohydrates, which often results in blood sugar swings and resistance to the effects of insulin. Contrarily, ketosis actually enhances the effects of insulin and helps stabilize blood sugar values. This means your body becomes better at partitioning nutrients to favorable tissues, such as skeletal muscle, and you’re less likely to suffer from energy crashes. Clinical findings demonstrate that ketosis may promote better blood lipid balance and lower the risk of cardiovascular disease (CVD) over time. In fact, subjects who followed the keto diet for six weeks had a 33% reduction in fasting triglyceride values compared to subjects who consumed a higher-carb diet. Clinical evidence suggests that oxidative stress and inflammatory biomarkers are reduced in those who follow the keto diet versus a higher-carb diet. It is postulated that this is due to decreased inflammasome activity while following the keto diet. (Inflammasomes are a class of proteins that induce inflammatory response). Carbohydrates only go so far to sustain energy throughout the day, especially when you workout. When you follow the keto diet, your body relies on fats and ketones as fuel instead of glucose, which means you have plenty of long-term energy to propel physical activities. While exercise is not necessarily required for ketosis, research shows that maintaining diligent daily physical activity can enhance production of ketones on a low-carbohydrate diet (not to mention the innumerable other benefits of keeping active). Depending on your current lifestyle and activity level, most people stand to benefit from at least three 30-minute workouts per week. These should be moderate- to high-intensity forms of exercise, such as resistance training, CrossFit, high-intensity interval training (HIIT), etc. As always, do what you are capable of and don’t push too hard. It takes time to condition your body and adjust to more challenging forms of exercise. Exogenous ketones supplements like Keto1 provide beta-hydroxybutyrate (BHB), generally in salt forms. By taking exogenous ketones, you effectively increase ketone body values in your body (with research suggesting about 12 grams of BHB salts being effective for ketosis).> Exogenous ketones are a great supplement for those who want to enhance ketosis throughout the day, as well as those looking to expedite their transition to becoming “fat-adapted” on the keto diet. Medium-chain triglycerides (MCTs) are digested differently from long-chain fatty acids and provide an rapidly absorbed source of lasting energy. Research suggests that MCTs can help enhance mitochondrial function and promote mental acuity. Many keto advocates will use a “keto coffee creamer,” like Keto Assist +, which includes MCTs and healthy fats to support ketosis throughout the day. Ketoacidosis is when the blood becomes highly acidic due to an excess of ketones; this is quite uncommon and generally only occurs in type-1 diabetics who don’t have enough insulin in their body (diabetic ketoacidosis). Your body naturally produces three ketone bodies as part of ketosis: acetate, acetoacetate, and beta-hydroxybutyrate. You must keep your carb intake to roughly 30 grams or less per day to get into ketosis. 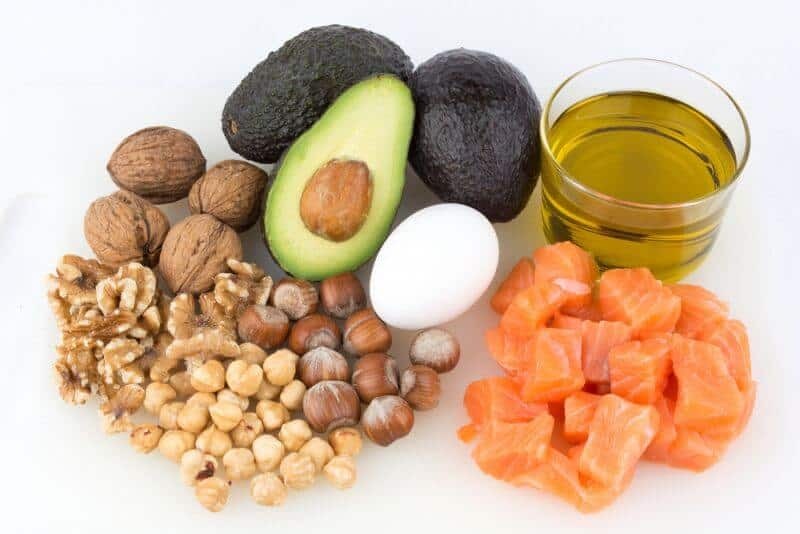 To achieve this, your best bet is to focus on foods that are high in healthy fats and quality protein, such as eggs, meat, fish, almonds, MCT oil, coconut, fibrous vegetables, and grass-fed butter. The best supplements for supporting ketosis are exogenous ketones and MCTs. You can find these in Keto1 and Keto Assist+. Being in ketosis has a has a range of health benefits, such as improved mental acuity, enhanced athletic performance, support for weight loss, healthier appetite regulation, more stable energy levels, and reduced inflammation. Schade, D. S., & Eaton, R. P. (1982). Metabolic and clinical significance of ketosis. Special Topics in Endocrinology and Metabolism, 4, 1. Misra, S., & Oliver, N. (2015). Response to Rosival: Pathophysiology of diabetic ketoacidosis. Diabetic Medicine, 32(11), 1527-1528. Poff, A., Koutnik, A., Deblasi, J., Rogers, C., Kesl, S., Ward, N., & D’Agostino, D. (2018). Characterizing the physiologic effects of exogenous ketone supplements–an alternative or adjuvant to the ketogenic diet. The FASEB Journal, 32(1_supplement), 812-38. Accurso, A., Bernstein, R. K., Dahlqvist, A., Draznin, B., Feinman, R. D., Fine, E. J., … & Manninen, A. H. (2008). Dietary carbohydrate restriction in type 2 diabetes mellitus and metabolic syndrome: time for a critical appraisal. Nutrition & metabolism, 5(1), 9. >Hu, F. B. (2013). Resolved: there is sufficient scientific evidence that decreasing sugar‐sweetened beverage consumption will reduce the prevalence of obesity and obesity‐related diseases. Obesity reviews, 14(8), 606-619. Kahn, S. E., Hull, R. L., & Utzschneider, K. M. (2006). Mechanisms linking obesity to insulin resistance and type 2 diabetes. Nature, 444(7121), 840. Yancy, W. S., Foy, M., Chalecki, A. M., Vernon, M. C., & Westman, E. C. (2005). A low-carbohydrate, ketogenic diet to treat type 2 diabetes. Nutrition & metabolism, 2(1), 34. Gibson, A. A., Seimon, R. V., Lee, C. M., Ayre, J., Franklin, J., Markovic, T. P., … & Sainsbury, A. (2015). Do ketogenic diets really suppress appetite? A systematic review and meta‐analysis. Obesity Reviews, 16(1), 64-76. Veech, R. L. (2004). The therapeutic implications of ketone bodies: the effects of ketone bodies in pathological conditions: ketosis, ketogenic diet, redox states, insulin resistance, and mitochondrial metabolism. Prostaglandins, leukotrienes and essential fatty acids, 70(3), 309-319. Guzmán, M., & Blázquez, C. (2004). Ketone body synthesis in the brain: possible neuroprotective effects. Prostaglandins, leukotrienes and essential fatty acids, 70(3), 287-292. Garg, A., Grundy, S. M., & Unger, R. H. (1992). Comparison of effects of high and low carbohydrate diets on plasma lipoproteins and insulin sensitivity in patients with mild NIDDM. Diabetes, 41(10), 1278-1285. Boden, G., Sargrad, K., Homko, C., Mozzoli, M., & Stein, T. P. (2005). Effect of a low-carbohydrate diet on appetite, blood glucose levels, and insulin resistance in obese patients with type 2 diabetes. Annals of internal medicine, 142(6), 403-411. PERSSON, B. E., & STERKY, G. C. (1966). Effect of prolonged fasting and ketogenic diet on levels of blood lipids and ketones in obese children. Acta Paediatrica, 55(2), 153-162. Sharman, M. J., Kraemer, W. J., Love, D. M., Avery, N. G., Gómez, A. L., Scheett, T. P., & Volek, J. S. (2002). A ketogenic diet favorably affects serum biomarkers for cardiovascular disease in normal-weight men. The Journal of nutrition, 132(7), 1879-1885. Forsythe, C. E., Phinney, S. D., Fernandez, M. L., Quann, E. E., Wood, R. J., Bibus, D. M., … & Volek, J. S. (2008). Comparison of low fat and low carbohydrate diets on circulating fatty acid composition and markers of inflammation. Lipids, 43(1), 65-77. White, A. M., Johnston, C. S., Swan, P. D., Tjonn, S. L., & Sears, B. (2007). Blood ketones are directly related to fatigue and perceived effort during exercise in overweight adults adhering to low-carbohydrate diets for weight loss: a pilot study. Journal of the American Dietetic Association, 107(10), 1792-1796. Egan, B., & D’Agostino, D. P. (2016). Fueling performance: ketones enter the mix. Cell metabolism, 24(3), 373-375.